Bud Geary, one of the most recognizable of the Saturday matinee sluggers in the ‘40s, appeared to be a man with the attitude “I’m rough and I’m tough and I can prove it.” That made him an excellent badman. One of Republic’s so called “stock players”, Geary was born Sigsbee Maine Geary in Salt Lake City, Utah, Feb. 15, 1898. His parents, Charles Geary and Jennie Helen, were both born in Ireland and migrated to the U.S. Following service in WWI, Bud apparently made his screen debut in the silent feature “What Would You Do?” (‘20) which starred Charles French and Madlaine Traverse. This was soon followed by “Everyman’s Place” in ‘21 starring Grace Darling. In ‘22, billed as Maine Geary, he was Will Scarlett in Douglas Fairbanks Sr.’s “Robin Hood”. 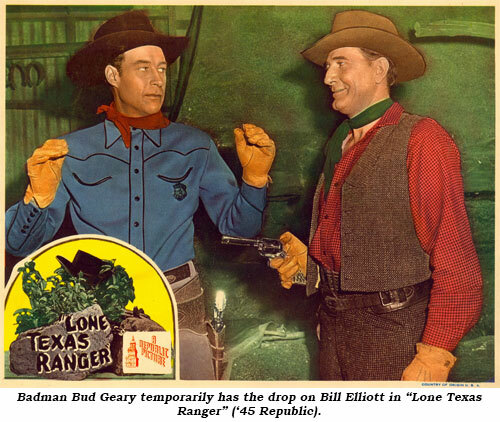 Western credits during the silent era include “Smoking Trails” (‘24) w/Bill Patton and “Arizona Romeo” (‘25) with Buck Jones. Bud worked continuously in mostly unbilled parts in picture after picture, easily making a transition to sound. 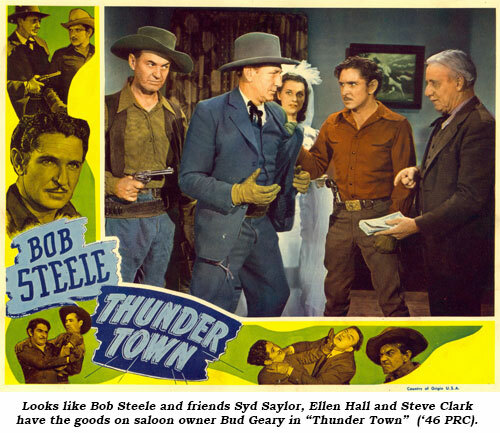 He was 6 ft. 1 in., beefy, and athletic so was cast as a cop, cowboy, sea captain, henchman and gangster. 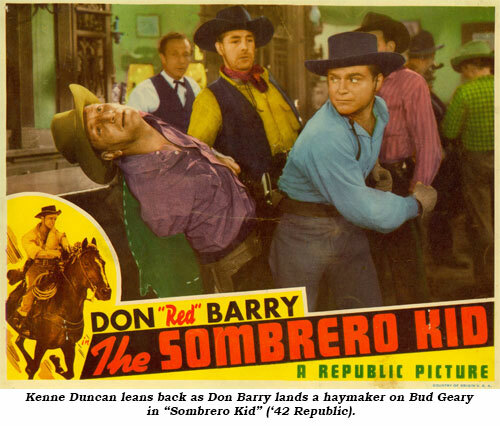 Despite scores of mainly uncredited roles, especially at 20th Century Fox, it wasn’t until a string of 12 Columbia and then Republic serials from ‘38-‘41 that his days as a tough henchman took off and he found a home at Republic on through 1946. 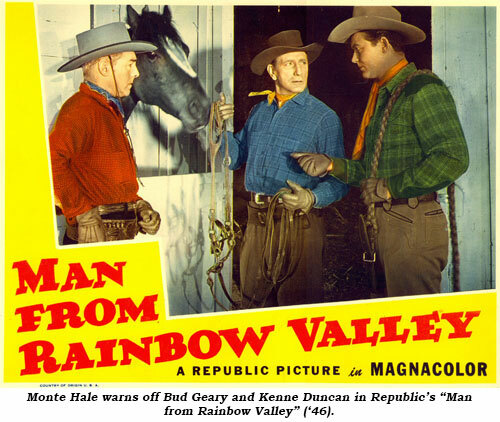 The stuntman/actor slugged it out in 18 serials at the Thrill Factory—from “Daredevils of the Red Circle” (‘39) through “King of the Forest Rangers” (‘46)—and dozens of Westerns opposite 3 Mesquiteers, Gene Autry, Don Barry, Bill Elliott, Bob Livingston, Sunset Carson, and Allan Lane. 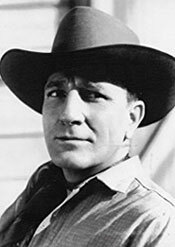 He became a real “workhorse” in Westerns, grinding out 28 films in ‘44…20 B-Westerns, 3 serials and a few other action films, such as “Fighting Seebees” with John Wayne. The main body of Geary’s work was at Republic because the studio put he, along with Roy Barcroft, LeRoy Mason, Kenne Duncan, Jack Kirk and Tom London, under contract in 1943. Geary’s contract ran from July 22, 1943 til July 21, 1945. With the cessation of his Republic contract, Bud was just getting his feet wet in a few Durango Kid B’s at Columbia when he was involved in a car wreck on a rural highway in San Fernando, California, February 22, 1946. He died at Newhall Community Hospital after a 10 hour stay. Actual cause of death was listed as intracranial hemorrhage and a fractured skull. He’d just turned 48. Investigators determined Geary was driving at an excessive speed when the car left the road and overturned. It was the cliffhanger he didn’t walk away from. His final film, “California” with Ray Milland, was released after his death. Geary is buried at Forest Lawn in Glendale. Survivors included his wife and two sons. 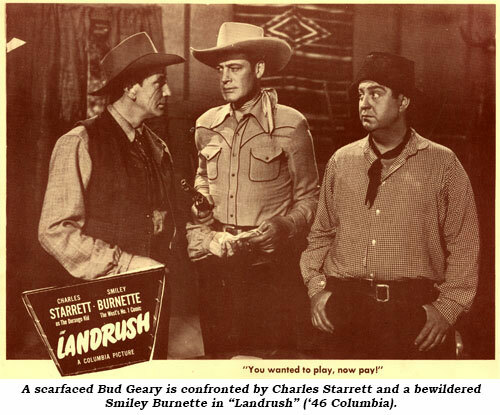 Only a handful of stuntmen/actors have gained the recognition of Bud Geary, even though many of his over 200 roles were uncredited. This talented and athletic man richly deserves our praise and admiration.